"Walls" can be found on Beck's 2008 album, Modern Guilt. "Walls" is the one song on the album that Danger Mouse co-wrote, and presumably he brought the beat to Beck. The sharp beat is enhanced by some woozy strings, all courtesy of a sample of "Amour, Vacances Et Baroque" by Paul Guiot and Paul Piot. Also, Cat Power sings the chorus (sounding remarkably like Beck). 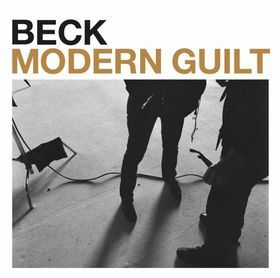 Throughout Modern Guilt Beck wrote about a struggle to return home, to find a bed to rest, a place to warm his weary bones. Lines like that pop up all throughout the album. Inherent in that struggle though is a chaotic world, the one he wants to escape for awhile. And that's where "Walls" comes in. The first verse of "Walls" describes this chaos. Nothing is steady, emotions all over the place (the first 2 lines go from thrills to malaise to fear), and then summed up by: "how am I supposed to live with that / with all these train wrecks coming at random?" Random train wrecks! Walls falling down! The striking images of catastrophe continue into the second verse, with warheads in the kitchen (ie., life constantly on edge of destruction), distractions, rattlesnake steps. The message seems to be clear: everything can change in an instant. "Walls" has some unique touches to it, most notably finishing, not on a chorus, but an abrupt cut midway through a third verse. This shortened third verse is not included in the liner notes either. But it brings all the chaos to a sudden end, mirroring all the catastrophic and sudden images, a metaphor for the volatility of life.